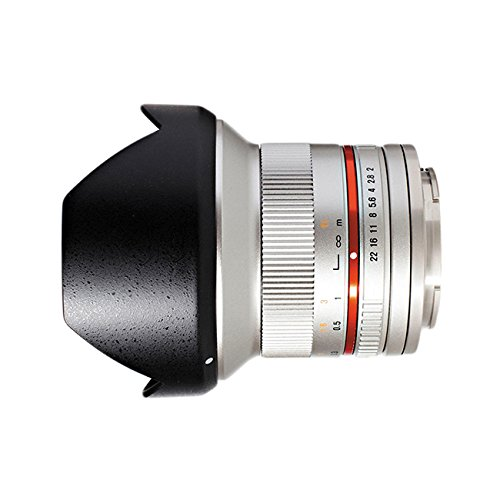 The Samyang 12mm f2.0 NCS CS lens is a manual focus, wide-angle prime with E-mount designed specifically for use with Sony’s APS-C compact system cameras, such as the Sony A6000 and A5000. Its lightweight (260g) construction, combined with its large f2.0 aperture makes this lens perfect for a wide range of applications, including travel, landscape, interior, architecture and astrophotography. The lens uses nanocrystal anti-reflective coating that sits on the lens element’s surface to ensure better light transmission, higher resistance to reflections and higher contrast to maximise image quality and sharpness across the frame.